Liverpool began the match with their favoured three central defenders, Daniel Agger still not being able to force his way back into first XI. The game began with a fast tempo with Liverpool passing the ball around well. Suarez was pressurising the West Brom defence right from the outset and after having a few shots go wide, fell under a challenge as he headed into the box, but it was a weak appeal for a penalty and the referee correctly refused to award it. A couple of minutes later though (in the 12th) and heading into the right side of the penalty area, he nutmegged the defender and beautifully slotted the ball past WBA keeper, Myhill. 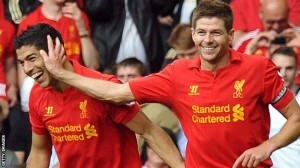 A great start for Liverpool and Luis Suarez managed to break his goalscoring duck against Albion. Liverpool kept up the tempo and territorial pressure on the beleaguered away side and it only took another five minutes before yet again our star Uruguayan was converting. This time, Aly Cissokho delivered a great cross to the edge of the box where Suarez plunged a fantastic powerful header into the top corner. 2-0 Liverpool. With 25 minutes gone, a beautifully crafted free kick, from a good position on the edge of the area, culminated in Martin Skrtel slicing the ball from a good goal-scoring position. There was an injury concern when Glen Johnson went down awkwardly while making a recovery tackle against Anichebe. West Brom just couldn’t seem to get into the game and Liverpool were truly dominant. Jordan Henderson almost increased the lead to three with a narrowly missing curling shot just clearing the post. Just before half time and a long through ball for Nicolas Anelka saw him skip past Martin Skrtel and Simon Mignolet. Having beaten the last line of defence, he passed the ball towards the open goal but luckily for Liverpool, the persistent on-from defender, Skrtel, managed to get back and clear the ball from the line. It was the only real danger of what was an excellent first half for the home team. The second half got underway and immediately Daniel Sturridge won a decently positioned free kick and went close to scoring with a strong, curling shot, which just skipped wide. Baggies defender, Claudio Yacob, managed to stop another Liverpool attack but went into the book for his efforts and left a free kick to the Redmen. Steven Gerrard delivered perfectly to a virtually unmarked Luis Suarez, who, with his second headed goal, made his hat-trick. Liverpool three goals to the good and well on target to winning the match. With victory seemingly in the bag, Brendan Rodgers made a precautionary change, replacing Glen Johnson with Martin Kelly. Johnson did take a knock in the first half and it made sense to give him a rest, especially with a big game looming against Arsenal next weekend. West Brom managed to get a bit of a change in luck when Billy Jones clashed with Luca Leiva in the box. He went down and the referee awarded rather a weak penalty after the linesman flagged. I think it was a poor decision and after James Morrison scored the penalty, this decision could be costly for Liverpool. There is still daylight and hopefully all will be well at 90 minutes. 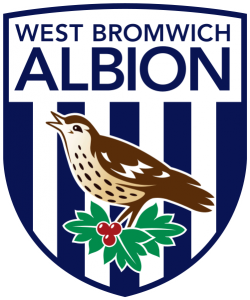 Steve Clarke seized the opportunity to take advantage of his resurgent team and made two changes for West Brom, bringing on Chris Brunt for Claudio Yacob and Shane Long for Liverpool old boy, Nicolas Anelka. West Brom continued to apply pressure for a good fifteen minute spell. They certainly weren’t going down without a fight. Our SAS weren’t going to stay quiet, however, and the relatively silent Daniel Sturridge, moving towards the box, did a delightful chip which proved that Suarez isn’t the only star striker we have. It was perhaps the best goal of the game so far and Luis’ goals were certainly all very good. Suarez soon went close to getting his fourth with a stunning overhead attempt which bounced back off the crossbar. Moving into the final ten minutes and the atmosphere on the Kop was resounding, all enjoying themselves and what must be our best performance so far this season. A substitution was made by Liverpool with Joe Allen replacing the club captain. Steven Gerrard had a good game with some very good set pieces. In forward areas he was devastating and Lucas’ return made the midfield tick over really nicely. Lucas performed fantastically, sweeping anything up at the back. The final substitution allowed hat-trick hero Luis Suarez get the full plaudits of the crowd he had so vigorously entertained. Luis Alberto came on for the last few minutes. The fifty year anniversary of our club anthem was sung heartily and ‘You’ll Never Walk Alone’ reverbed through our glorious stadium. The only grey out there today was the weather and Liverpool have showed clearly how far they have progressed since last season. A team who did the double over them last year have been comprehensively beaten. We now go onto the Emirates next week on good form and perhaps we shall really be able to test whether we are true contenders for the title. Liverpool 4-1 West Brom. Our best game so far in this good campaign. 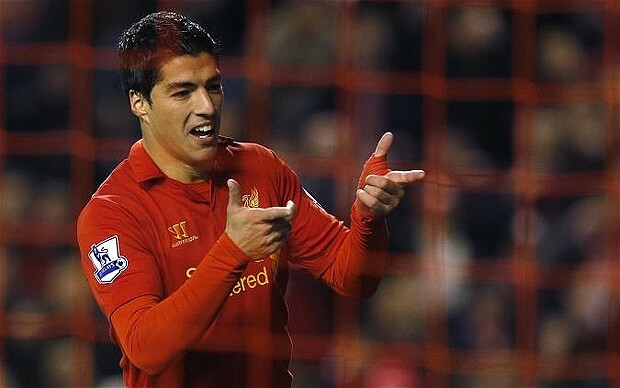 Man Of The Match: Luis Suarez – who can question our Uruguayan hitman’s hat-trick. Truly back on goalscoring form, an awesome display. Liverpool welcome West Brom to Anfield in this non-televised 3pm fixture. Liverpool are currently third in the league with West Brom standing at twelfth. League form, however, can be overlooked. West Brom are a bogey side of Liverpool’s, having won 4 of our previous five league fixtures, including a comfortable double over us last season. Although West Brom haven’t won in over a month, they have been impressive against the top sides, beating Man United in their own back yard and also holding Arsenal to a 1-1 draw. Their manager, former no 2 to Kenny Dalgleish at Liverpool, Steve Clarke, will certainly not be afraid of Liverpool, and is likely to have good knowledge of our side. For Liverpool, Lucas Leiva should likely make a return to midfield, having been absent for baby duty last weekend. Glen Johnson should be match fit by now and with Jose Enrique still out with a knock, Aly Cissokho looks set to play left-back. Philippe Coutinho still hasn’t commenced full contact training though should hopefully be back for next weekend’s fixture against Arsenal. Winger, Scott Sinclair, will be missing for West Brom. Ben Foster, Zoltan Gera and George Thorne are also likely to sit out with injuries. The big question for Liverpool manager, Brendan Rodgers, is whether to stick with his 3 central defenders. We haven’t yet held a clean sheet using these tactics. I think that a 3-5-2 formation is perhaps a bit too negative, especially for a home game. Also, is it time for Daniel Agger to start again? Martin Skrtel’s form has been holding our vice-captain out of the side. Is it time for Toure or Sakho to make way for the Dane? Luis Suarez will be hungry as he is yet to score in five games against West Brom. Hopefully his SAS partner, a man with 20 Liverpool goals in 26 appearances, Daniel Sturridge, will also be keen to bag some more goals for his leading tally. I think that Liverpool will be apprehensive about this fixture and maybe will be a bit too over-cautious. 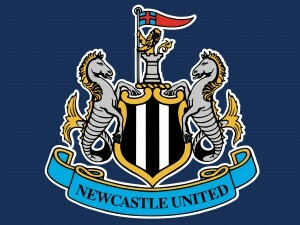 They has a bad game against Newcastle last week and need to bounce back. Hopefully our home crowd will be supportive and provide the impetus for us to get the three points which the bookies are predicting. Never in our club’s history have we lost three consecutive home games to West Brom. Let’s hope that this afternoon we can end this bogey team’s run against us. I’d recommend checking http://wiziwig.tv for live match streams. Liverpool started the game in their favoured 3-5-2 formation, with natural wing backs in Aly Cissokho and Glen Johnson bot making reappearances. Sakho, Toure and Skrtel form the central defence 3. Lucas Leiva stayed at home with his wife and their new-born daughter. Jordan Henderson joined Steven Gerrard in the middle of the park with Victor Moses lining up behind the formidable SAS. Newcastle followed up their goal with some sustained pressure and a few corners left Liverpool’s defence being tested. Liverpool were still on top in terms of possession and even after Gerrard delivered their eighth corner, they still couldn’t find the goal. Back at the other end, Newcastle who were primarily counter-attacking, Mignolet redeemed himself slightly, with a great stop from a powerful shot from Newcastle’s Moussa Cissokho. Apart from the goal it was definitely the best chance of the game so far. Liverpool got back to attacking and Luis Suarez made a good attempt. A couple of minutes later, Luis Suarez, again in the box, was brought down with a professional foul by Mapou Yanga-Mbiwa. The defender was given an instant red card and hesitatingly made his way off the pitch. Meanwhile, skipper Steven Gerrard, stepped up to the spot to easily score the penalty kick, his one hundredth league goal. The game had turned yet again upon its head and Newcastle, down to ten men, must surely be under pressure for the rest of the match. Just ahead of halftime and Newcastle decided to change their formation slightly with a defensive substitution, Paul Dummett on for Moussa Sissoko. Steven Gerrard managed to pick himself up a caution. Half time, and rather a messy 45 minutes in terms of football has left Liverpool looking set up to dominate the game for the second period. Early on in the second half and Gerrard was lucky not to get a second card, with the St James’ Crowd doing their best to convince referee Andre Mariner to dismiss him. Again, against the run of play, Newcastle retook the lead. A floating free kick was slammed into the back of the net by Paul Dummet latching onto it in the far right of the six yard area. He breezed into the area and left Aly Cissokho staring into space. Cissokho hadn’t looked good all game and the goal can really be put down to a defensive error. Brendan Rodgers decided to up the ante and make an attacking change, bringing on Luis Alberto for Mamadou Sakho. Again, Liverpool moved into the final quarter of the game, dominating possession and territory. Luis Suarez again went close, though overall Liverpool were struggling to find form in the final third. They looked a bit lacklustre in terms of their effort, with slack passing and casually giving the ball away. 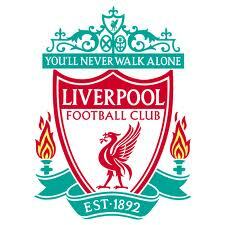 The match, however, in the 72nd minute, turned again in Liverpool’s favour, the SAS coming to the rescue, Daniel Sturridge easily heading in a nice ball into six yard box from his strike partner, Luis Suarez. A few minutes later and a beautiful passage of play from Liverpool, Gerrard sliding a ball dangerously into the box for Cissokho to cross into Suarez’s path for him to unleash a spectacular volley which skimmed the top of the bar. Liverpool so unlucky not to be in front for the first time in the game. Another Liverpool attack failed to pierce the goal, as the ball was pinged about in the box, with nobody able to convert. 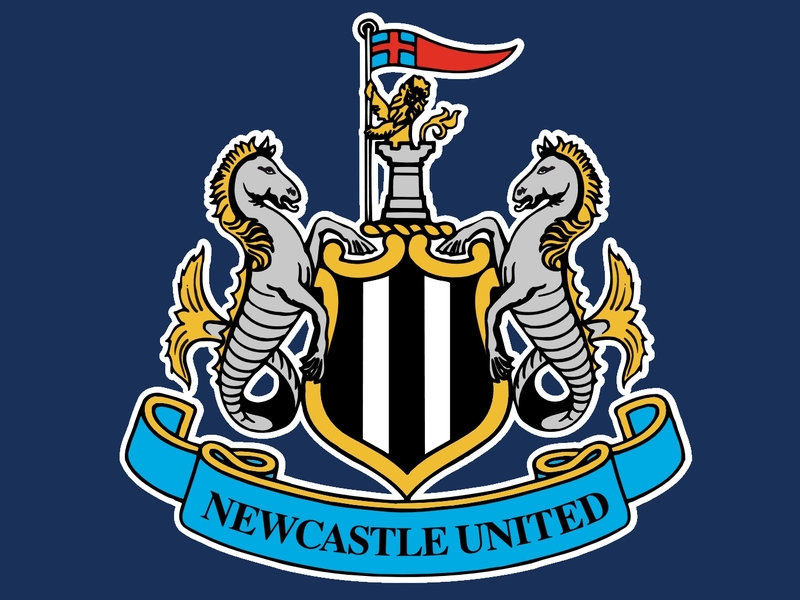 Newcastle made a substitution with their star player Cabaye making way for Vurnon Anita and Hatem Ben Arfa leaving the pitch for Sammy Ameobi to come on. 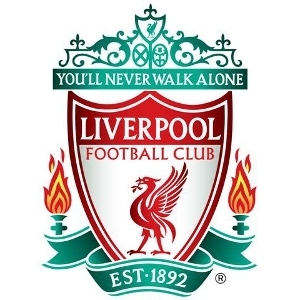 Liverpool responded, bringing Raheem Sterling on for Glen Johnson. Hopefully the youthful attacker would be able to bring us the victory. Liverpool were just unable to get the critical goal. Even a last minute Suarez from the edge of the box was thwarted. As is often the case when a team goes down to ten men, it spurs them on to deliver a stronger performance. Liverpool should really have taken their chances, but will have to make do with an away draw and one point. The game finished 2-2. Man Of The Match: Although he didn’t get on the scoresheet, Luis Suarez was directly involved in both Liverpool goals and overall had a very decent game. Well, thankfully, the international break is over, and it’s a return to the Premiership for our club players. We lie second in the table, to Newcastle’s 11th. Luckily no more injuries were picked up by our players during the international break and our injury list actually shrinks ahead of this game with Glen Johnson, Aly Cissokho and Joe Allen all returning to the squad after lengthy absences. Bad news as Iago Aspas is ruled out with a thigh problem. Philippe Coutinho is still in recovery from his shoulder injury. Lucas Leiva though will be back available for selection after completing his suspension. Newcastle have a few notable absences of their own, with two key Argentinians missing. Fabricio Coloccini and Jonas Gutiérrez are both out, defender Coloccini has a groin injury and midfielder Gutiérrez has been allowed to return to his homeland for personal reasons. Newcastle will still be smarting from the heavy 6-0 defeat Liverpool inflicted on them, last time out, in April. If anything, our team has grown even stronger than then, so Alan Pardew may indeed come under heavy pressure. The Liverpool SAS (Suarez and Sturridge) are probably the League’s most prolific striking partnership and with key personnel missing, Newcastle will hopefully be on the back foot. With the return of Johnson to Liverpool’s squad, it could be interesting predicting what Brendan Rodgers decides to do with the defence. The 3-5-2 we’ve been using recently, although I’ve been quite critical of it, does seem to have been delivering results and therefore works. Will Johnson’s reappearance mean we revert back to a standard 4-4-2? These games have traditionally been goal feasts with 122 games being scored in the past 38 league meetings. Let’s hope that it’s one way traffic and that our defence will be tight, with our attack performing to its utmost.Newcastle have had an unbalanced start to their campaign and their defence has been notably leaky. With key players missing today, including their captain, the omens for the passionate St. James Park home supporters aren’t good. Brendan Rodgers has described his squad as being at the strongest yet this season, so looking at the pre-match analysis, everything is in our favour and with luck we should gain the three points here, temporarily catapulting us back to the top of the League. It began a good day for Liverpool as it saw Kenny Dalgleish return to a position in the directors’ box at Anfield. Liverpool started the game in their recent favoured 3-5-2 formation, Martin Skrtel joined by Sakho and Toure in the centre of defence. The missing Lucas was replaced by Jordan Henderson in the centre of midfield and Raheem Sterling took his place on the right hand side. Liverpool started the game very positively, immediately seizing control of possession and putting the struggling Crystal Palace on the back foot. It wasn’t long before we broke the deadlock. After thirteen minutes, Suarez, fallen off his feet in the box, latched onto Jose Enrique’s ball and slipped it into the net. To complete the devastating force of our SAS, Daniel Sturridge soon afterwards made it two with a cracking left foot strike into the bottom corner. Crystal Palace responded well to the early pressure and for the next ten minutes made Liverpool defend. We looked a bit shaky at the back and it required a spectacular save from Simon Mignolet to secure our clean sheet, denying a good attempt from Puncheon. In the thirty-sixth minute, Raheem Sterling, heading into the Anfield Road end penalty area, fell after a minor touch from Moxey. Penalty awarded and the captain, Steven Gerrard, stepped up to fool the keeper into diving the wrong way. Before halftime Victor Moses was thwarted by the crossbar. It was 3-0 and liverpool’s relentless attack had sealed a comfortable position ahead of the second half. Crystal Palace dug in, second half, and made life a bit more difficult for the Redmen, who to be fair had probably taken their foot off the gas a little. The game moved back and forth with a fairly even allocation of possession and territory. Daniel Agger came on for Mamadou Sakho and Victor Moses made way for Luis Alberto. Raheem Sterling was having a good game down the wing and was causing all sorts of problems out on the right. In the seventy-sixth minute Gayle, for Crystal Palace headed a cross into the box, past the Liverpool keeper. It was initially reported as a Gerrard own goal, such was the confusion. Liverpool’s attack kept breaking down with misplaced passes. 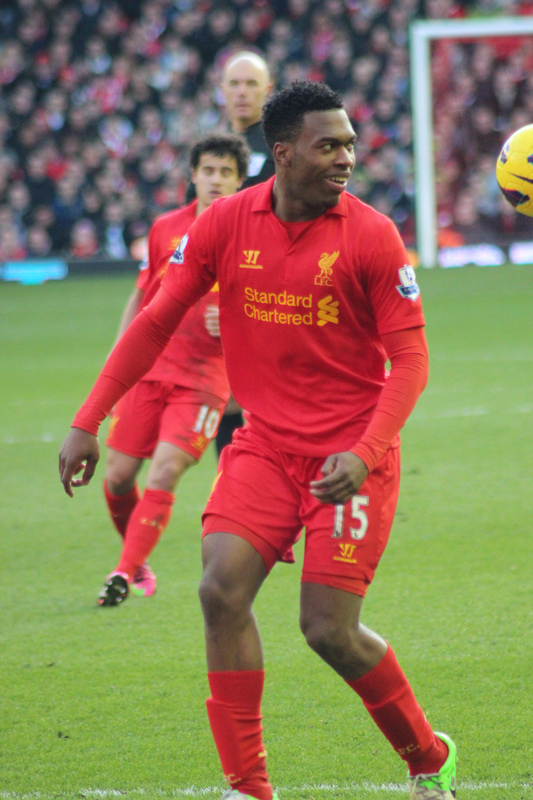 Daniel Sturridge hit a cracking volley which spun back off the inside of the post, so unlucky not to make it a brace. He was substituted afterwards for Iago Aspas, his work for the day well done. After four minutes of extra time, the ref drew the game to a close. It was a solid performance with a 3-1 victory, sending Liverpool back to the top of the league. We made 619 passes to the Eagles’ 383. Let’s hope now, that the forward momentum we have built back up, doesn’t fall apart in the forthcoming international break, like it did last time we reached the summit. Man Of The Match: Daniel Sturridge – unlucky not to get two goals, Sturridge looked sharp as ever, his scoring form continuing. He is the top scorer in the campaign so far. Last time out at Anfield, Liverpool gave a disappointing performance and slumped to a 2-0 defeat against Southampton.We turned the corner in out mini-crisis, however, and beat Sunderland away last week, to take up second place in the league. Here, we return to a home fixture against minnow opposition. Crystal Palace are languishing in the drop-zone already, just above Sunderland in 19th place, with one win and five losses. When you look ahead to fixtures, it’s the eye-catching ones which excite supporters. The matches against the top four sides, the Merseyside derby, the Man United games. These games, for Liverpool, generally cause few problems. We always step it up for the big occasions and usually succeed in bagging all the points on offer. Nowadays, I see the likes of Crystal Palace at home in the fixture list, and whereas, looking at the league standings, it should be an easy three points, for Liverpool, we always seem to struggle against the hackers that fight it out at the bottom of the division. 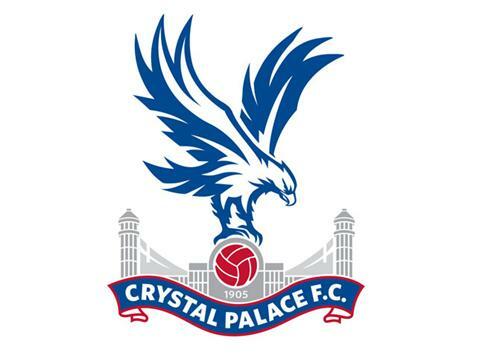 I think that with Liverpool being such a huge club historically, sides like Palace, who are not as accustomed to Premiership ways, really try to perform and shine in front of our passionate football loving supporters. Games in the atmosphere of Anfield bring out the best in the opposition. It is like stepping out at Wembley for them. They bring their A-game, and also their mainly physical styles don’t suit us very well. We like beautiful football, passing and movement. When you are facing rough aerial challenges and hoofed long-balls from the back for ninety minutes, it takes its toll on the players, and slips in defence are more likely to occur. Injuries and suspensions mean that Liverpool will be flexing their squad for the game. Lucas Leiva is a critical non-starter, on a one-match ban for accumulation of yellow cards. It seems a little early in the season for this to happen, and our Brazilian starlet should perhaps pay more attention to his discipline when he returns. Lucas’ natural replacement, Joe Allen, is still out injured with his hamstring. Obviously, Coutinho and Johnson, are still in recovery and Cissokho also misses out. Sebastien Coates has picked up a cruciate knee ligament injury on international duty so is another long term absentee. Rodgers is likely to turn to Jordan Henderson as cover for Lucas. Although he’s been out on the right all season, he can easily drop into the middle and we will most probably see him dovetailing back and for in the centre with captain, Steven Gerrard. It will be Suarez’s first opportunity, after his ban, to greet the Anfield faithful, so we can expect him to be shining. Sturridge has scored 5 of our 8 league goals this season and he is most definitely the form player. What happens defensively is perhaps more of a mystery. There has been tinkering in the past few games, and in my opinion we haven’t looked too comfortable. There are players missing, but is a 3-5-2 the right formation for a home game? Are three central defenders too many? I think a 4-4-2 will let us more loose. I’d like to see some of the younger players fit in at the back. Flanagan, Kelly? I know Toure has experience but is he really quick enough to cover the right back role? Surely we should have a natural player in that position? Yannick Bolasie makes a welcome comeback for Palace, the exciting winger, having been absent since preseason with a hamstring injury. There is a bit of a crisis in defence with Patrick McCarthy, Damien Delaney and Jonathan Parr all doubtful for the game. Ian Holloway, as a manager, will be relishing the opportunity to play Liverpool. In previous seasons, he has brought Blackpool here and, completely outplaying us, has stolen away the precious three points. That did happen under the fateful Roy Hodgson era, so maybe with the more stability we have under Brendan Rodgers, will simply make us too strong for Palace. I think that our new attacking S.A.S. will be just too much for the Palace defenders to contain. It’s three points on offer and although they won’t be presented on a plate, we should really get them and for 24 hours at least, resume our rightful position at the top of the Premiership. The game kicks off at 3pm and is not being televised live in the UK. 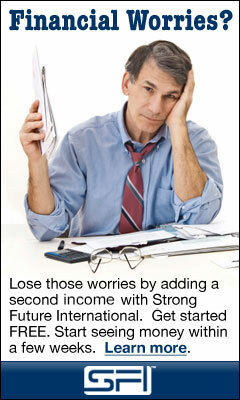 I’d recommend http://wiziwig.tv or Sports Lemon for the live internet streaming. 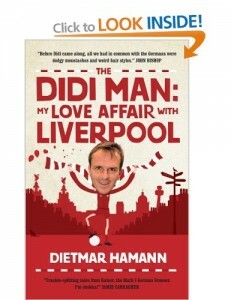 Dietmar Hamann or Didi was known as ‘The Kaiser’ during his time at the helm of Liverpool’s central midfield. The German international was signed for Liverpool by Gerard Houllier in July 1999 for £8 million from Newcastle United. His seven year career at Liverpool saw him make 191 appearances, scoring 8 goals. He was part of Houllier’s treble winning side of 2001, gaining UEFA Cup, FA Cup and League Cup medals. A defensive midfielder, Hamann was a mainstay for Liverpool and a key player. He is renowned as a big game player, someone who was able to step up to the mark in important fixtures. He is probably most loved by the Kop for his game-changing substitute appearance in the Istanbul Champions League Final of 2005. 3-0 down to AC Milan at half-time and in the midst of the crisis, Rafa Benitez turned to the Kaiser’s experience and brought him on for the flagging Steve Finnan. Immediately, Didi impacted the game, and shored up the midfield area, allowing Steven Gerrard to move on up the pitch and initiate the goals needed for our comeback. He was the catalyst for the turnaround and in a demonstration of bravery, did all this with a broken toe. His experience was called for after the game finished in extra time, a 3-3 draw. With his broken foot he stepped up to take the first penalty and with calm German composure, slotted the ball into the back of the net, to encourage his teammates to go onto victory, which of course they did. A year later, in the FA Cup final in Cardiff, against West Ham, Hamann repeated his final heroics, again coming on in the second half, and again shoring up the midfield to get us into a winnable position. Hamann moved on from Liverpool in June 2006, initially signing for Bolton but with a late change of heart instead opting for Manchester City. He played there until his contract expired in 2009. After his playing career ended he had spells in management with Milton Keynes Dons and Stockport County. He has stated that ‘it would be a dream come true’ to manage Liverpool one day. In addition to his managerial roles he has built up a presence as a pundit on key football shows in Ireland and the UK. 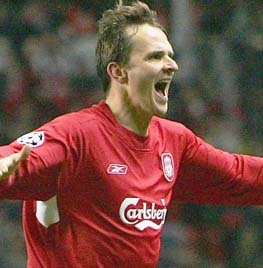 Dietmar Hamann can go down as probably the best loved foreign, adopted-Scouser since Jan Molby.